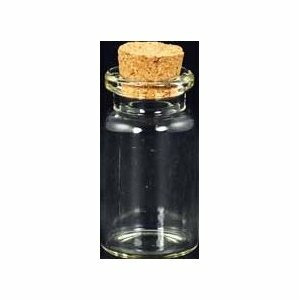 Among the largest of the spell oil bottles we offer, this large jar-shaped spell oil bottle can easily contain a large amount of your sacred oil or holy water. No cord. 1 1/2" x 3/4".